What’s all the hoopla about? The new weighted foam hu--la ring! Fully collapsible so you save money on shipping and we lessen our enviro footprint. 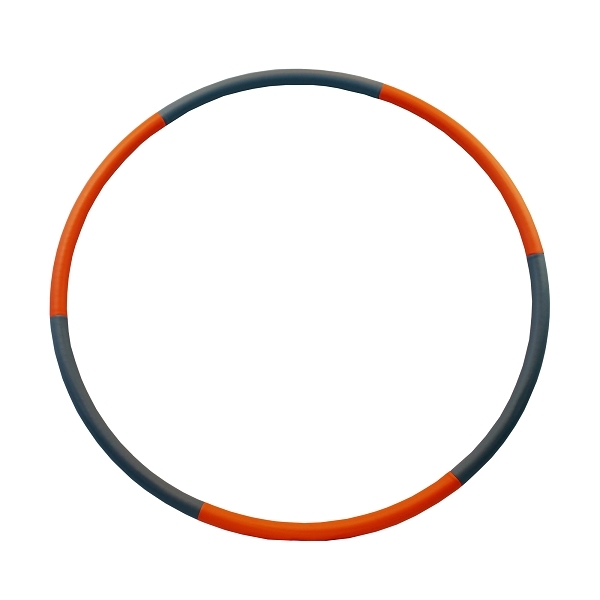 Snaps in place, made of dense, soft foam, and weighted to help prolong every hooping session. Loose weight when you hoop and watch TV. Tones the sides of the body and the hips and improves overall bodily control. Available in grey with orange. Great Product. Easy to assemble. Padded ring makes for a comfortable workout.